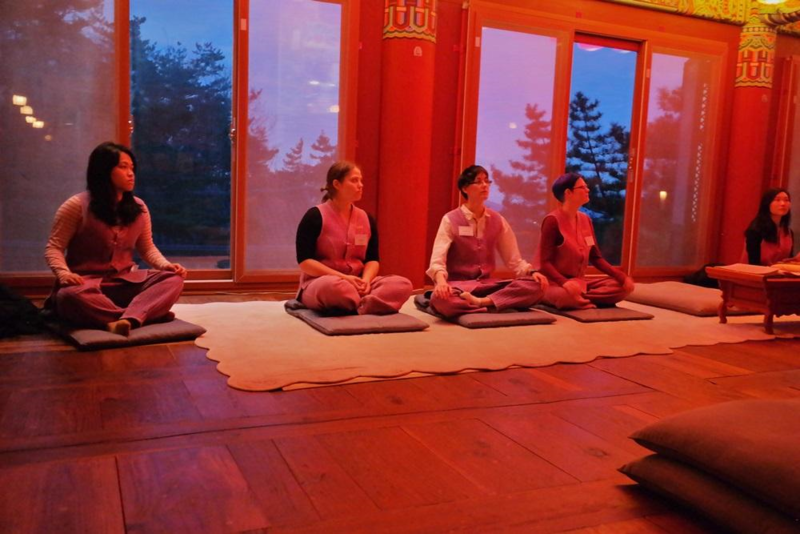 This is the Experiential Templestay, and you can enjoy various activities about Korean Buddhist culture and traditions. It starts from Saturday afternoon and ends Sunday afternoon(around 11:00). * Participation of the Experiential Templestay is available only for a person over Age 17(Korean age). * A uniform ( a vest and pants ) is provided during the program. * * Room arrangement: Participants share a big room together, but men and women stay seperately. Balwoo are bowls containing a moderate amount of rice and vegetables. Balwoogongyang is a traditional way of eating a meal for Buddhist monks and nuns. It is not only the manner of eating but one of the processes of practice. Therefore it is also called Beop-gongyang. Balwoogongyang involves the spirit of Equality, Cleanliness, and Thrift because everybody shares the same food equally, cooked in a clean environment and there is no waste. Balwoogongyang has symbolic meaning representative of Buddhism from Sakyamuni Buddha period to present. You can learn the wisdom of nonpossession. 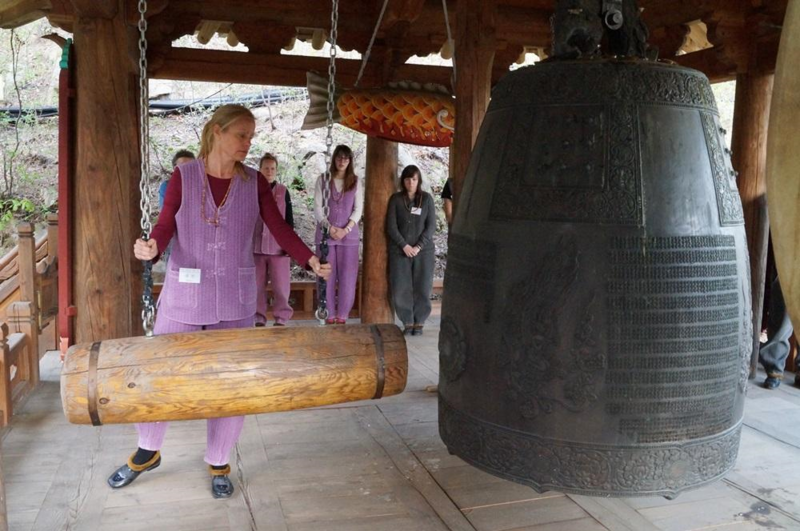 emple tour is not only visiting the Buddhist temple but experiencing Korean Buddhism and culture. Korean Buddhist temples have been the bedrock on which brilliant Korean culture has been blooming over the past 1700 years since Buddhism was first introduced to Korea. Various Buddhist cultural properties including the structure, architecture, sculpture, art, craft, Buddhist painting and Dancheong (temple paintwork) contain the teachings of the Buddha. Ulyeok means working together. It is also called Unyeok which means gathering individual power like cloud. In secular world, labor means a part of our life but especially in Seon sect., Ulyeok has another meaning, that is one of the important practice in the Buddhist temple. There is a famous story about Ven. Baekjang, who was a Buddhist monk in Tang Dynasty, China. Despite his age 90, he did Ulyeok everyday. One day, his disciple worried his teacher’s health. So he hid his teacher’s plow. And then Ven. Baekjang didn’t have a meal that day. His disciple asked him the reason why he did not eat whole day. Then, Ven. 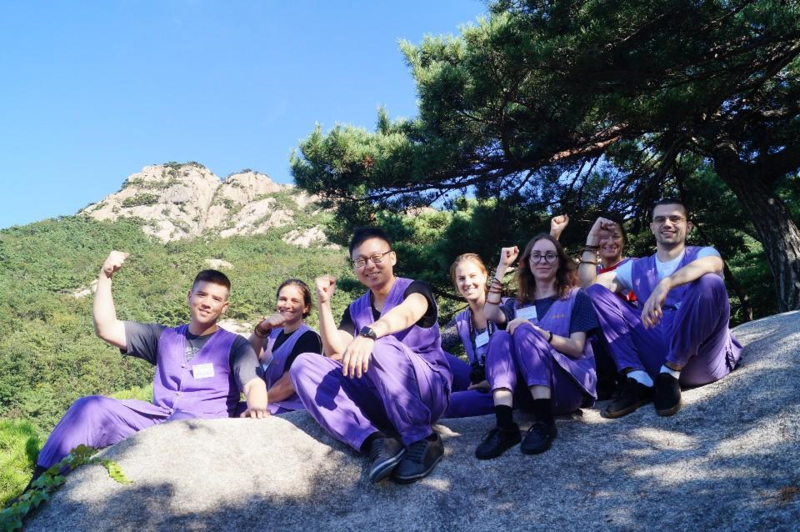 Baekjang said, “A day without work, a day without food” This story refers that practice does not separate from our daily life. *Cancellation on the day itself is regarded as participating. NOTE: You can pay at the temple if you can't do money transfer. Please be quiet during your stay. No smoking and no alcohol drinking. 1. Go to Gyeongbokgung (경복궁) Stn. 2. Go to exit no. 3 and walk straight forward about 70 mtrs. to the bus stop. 3. Take the green bus no. 7212 and get off at Yibukodochung (이북오도청) approximately after 20 minute ride. 4. Walk to the main road to the north for about 20 minutes. On the 500 meter mark, you'll see stairs of about 200 meters near the temple. There are streetpoles with the sign Geumsunsa (금선사). Tell the driver to drop you off at Geumsunsa (금선사). If the driver doesn't know then tell him the direction to Yibuk-odochung (이북오도청).